Office Space - Clifton, Greater Manchester. Ideally located close to Preston, this centre is easily accessible via the M6 motorway. 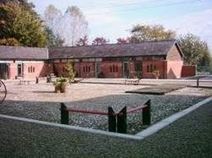 This centre is based in converted farm buildings in a peaceful countryside setting. These award-winning environmentally friendly offices are comfortable and stylish, and are available immediately.